The backbone of great coffee lies with perfect coffee grounds. This is achieved with a quality grinder that is cleaned daily and looked after on a regular basis. Don’t look at grinding as just another step in coffee preparation. See it as an instrumental way to control your coffee brew, flavour, and ultimately the reason your customer will come back on a daily basis. Finding the perfect grind is critical to producing the perfect cup of coffee. It is important to note, however, that no matter how good the quality of your coffee is, or how smooth your espresso machine operates, if the grind is not set correctly, your coffee will lack flavour, body, taste, and aroma. But which grind size should you use? Grind setting is essential to getting the best possible cup for your brewing application. While each brew method has its own grind requirements, which we’ll get to in a second, there are three common elements applicable to all brew methods: clean equipment, fresh coffee, and fresh water. Freshly ground coffee is key to enhancing the flavour and aroma of your brew. Think of the “grind on demand” method. Rather than grinding the coffee and using it within a few weeks, which causes the beans to oxidise and become stale, purchase your coffee fresh and consume it within a few days. 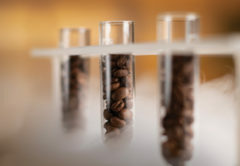 When you are spending top dollars on coffee and not spending the time and effort to perfect your water, you may be missing out on many of the hidden elements still locked away in the beans. Water is a canvas for these flavours. The mineral composition and chemistry of the water is as much a determining factor to what you are tasting as the beans themselves. So, always ensure you are using filtered water for your espresso machine or take the right measures to use fresh water for all other applications. 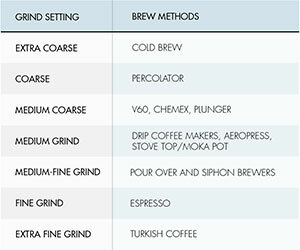 With those important three elements noted, let’s look at how to best grind coffee for different brewing methods. Espresso coffee needs to be ground very fine. However, there is no “exact” or “perfect” grind setting. 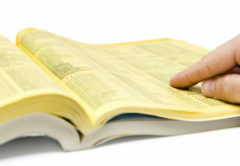 This is due to various types of machines on the market, whether they be domestic or commercial. 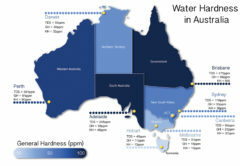 Water pressure rates, water quality, and climate conditions also play critical roles. The perfect espresso grind is to create perfectly even resistance against forced hot water, including an even tamp. If the grind is too coarse, you will notice the coffee running through the spout too fast. A fine grind will constrain the flow. Once you have these parameters perfect to that of a “golden mouse tail” as we like to call it, you will have consistency from cup to cup. Water by nature is lazy. If the resistance is too high the water will not be able to get through the compressed coffee. Alternatively, if there is not enough resistance, the water will come through the coffee grinds too fast and the shot will taste under extracted. The mesh filter of your coffee plunger requires coarse grounds. Fine or medium grounds will get stuck in the mesh and create pressure when you’re trying to plunge. The finer grounds will go right through the filter and make your brew muddy. Grind the desired quantity of coffee beans at a coarse setting. The coarse setting is to prevent unnecessary sediment passing through the filter, and to obtain the correct extraction of coffee as this is typically a longer type of brew. If you find that your coffee is too strong, however, reduce the brewing time. Make the grind coarser, and use less coffee for the same amount of water. If you find that the coffee is too weak or watery, make the coffee grind finer, add more coffee for every cup being brewed, and increase the brew time. 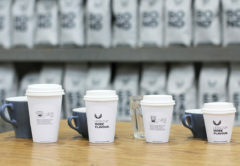 As with most methods of preparing coffee, individual tastes and preferences will mean that you need to experiment with some parameters to obtain the perfect cup. The grind size for pour over can either speed up or slow down the speed at which the coffee will be brewed. The larger the grind size the faster the brew time. Alternatively, a fine grind will take longer to brew. In identifying the happy medium, I suggest you start with a decent supply of a particular coffee from the same roasted batch. Keep all the brewing parameters the same, such as constant temperature and total brewing time, and pick a starting grind size. The grind size should be coarser than that of espresso. 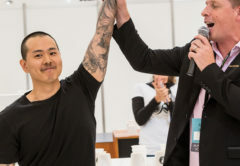 The AeroPress is particularly capable and flexible with a variety of grind sizes, water temperatures, and contact times. Experimenting with all these elements will allow you to find the perfect brew. I tend to find that a medium setting is forbearing and quick. A fine setting is possible, but it makes pressing the plunger very difficult. A coarse setting is also possible, but it takes much longer to brew. Use a coarser grind to that of espresso to get an idea of the right grind. Once you have ground the coffee, quickly load it into the stove top/moka pot. Limit the coffee’s contact with the open air as much as possible otherwise it will oxidise and jeopardise the result. When you load the coffee into the device, do not press down and compact. Make a sort of little mountain, less than a centimetre higher than the ground line of the filter. Cold brew is now a common sight in Australian cafés and one of the easiest forms of making coffee. The warmer weather means a variety of cold, vibrant, and some remarkably fruity brews will be consumed. Cold brew generally is a longer process that takes up to 12 hours depending on quantity, and what you would like to achieve from a flavour perspective. Generally, the grind for cold brew is a coarser setting. Ground Turkish coffee is finer than espresso grind. For a consistent Turkish grind size, purchase a conical burr grinder or a deli grinder as they can produce the finer grind you need without overheating the coffee and losing flavour and aromatics. To enhance these characteristics even further, I don’t recommend grinding immense quantities of roasted beans. Give the grinder a break to cool down and prevent the grind from getting too hot. through a filter, which sits at the bottom of the higher chamber. The bottom chamber in turn fills with brewed coffee. The great thing about there being so many different grind size capabilities is the ability to experiment with different brew methods. 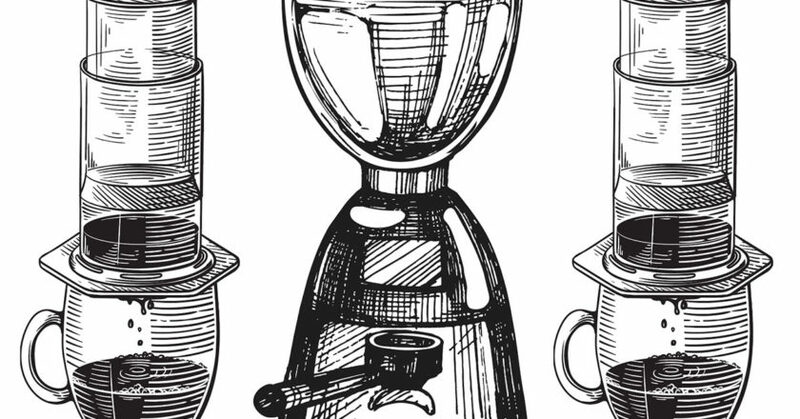 Invest in a good grinder and practice how to perfect your brew. Coffee grinds may be small, but they play a big role in the end result in your cup.